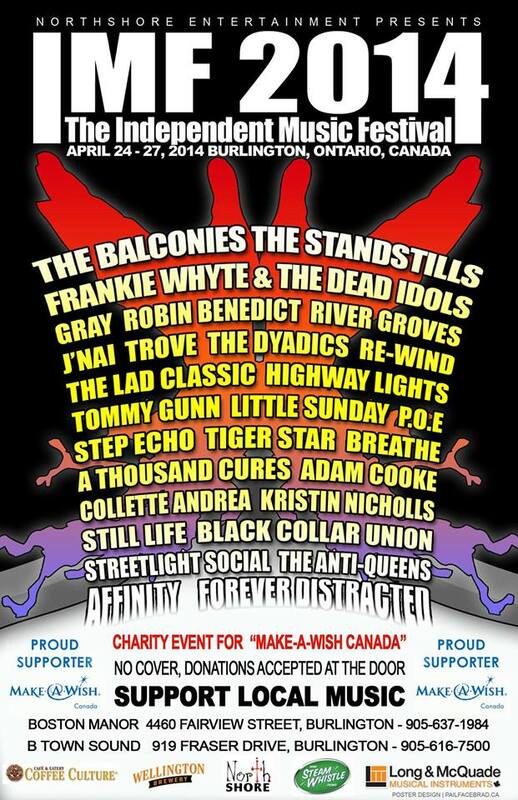 I am happy to announce that I will be playing this year for Burlington’s Independent Music Fest! I feel very fortunate and lucky to be apart of an awesome music festival which truly stands for supporting local artists. I will be taking the stage at B Town Studio (919 Fraser Drive, Burlington) Saturday April 26 at 8:50PM. There is no cover, however donations can be made at the door with all proceeds going to Make-A-Wish Canada. In support of local independent music, I hope to see some of you there!